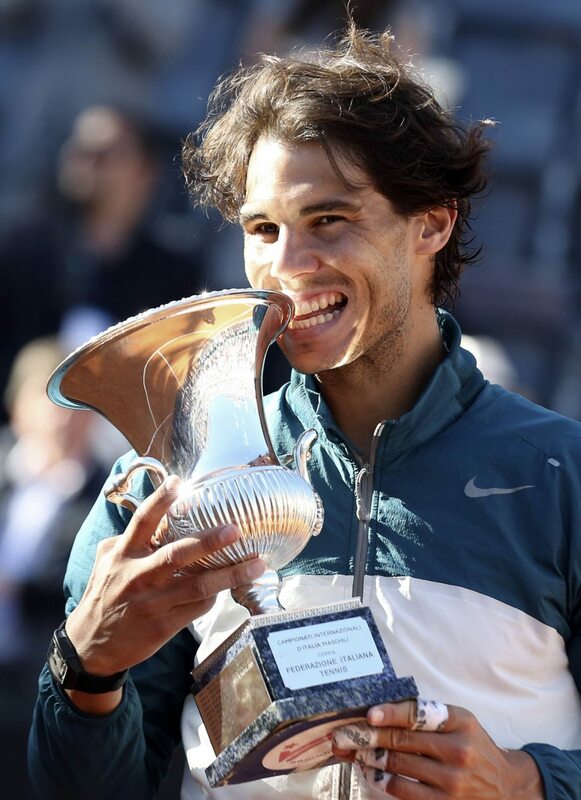 R. Nadal: Surprising …. I 61 and but that is what happened and the end is always surprising when you play against someone like Roger – and you win 61 – how can I explain when these things happen and you have to combine a few facts. It happened in London to me in the Masters Cup and without winning a lot of points – 51 and then 61 and to make this happen between two players when there is not a big difference and so one player is playing well and the other is making more mistakes than usual on that day. Q: You were impressive and congratulation. I would like to ask --- according to the level of Novak and Roger – who will be the tougher opponent. R. Nadal: Let me enjoy today and not think about tougher opponents. That will be the first round and it will not be Roger or Novak for sure and so I will go day by day as I have always done and I don’t want to think about the Roland Garros yet and let me enjoy this victory and the fantastic come back and Wednesday or Thursday and then I will start to think about what will happen there and playing there but not today. Q: Another victory. There is a lot of talk about your injuries. Can you tell us about Roland Garros that is coming and if you feel 100% fit and health and ready. Q: What is your feeling about your level going into the Roland Garros. Is it sufficient R. Nadal: Maybe it is enough but what can I tell you. If I play like this and I arrive to Roland Garros and somebody beats me I shake his hand and so I am happy and I am playing much better that some months ago and I am doing the right things to play well and I am playing well and I don’t want to talk about Roland Garros and that is only 1 tournament and when you play 1 tournament you can lose and……… when you play and win many titles in a row like I am doing then you are doing things well and I can reach Roland Garros and lose in the first round – this is the sport and this is tennis. Q: I know you don’t want to compare tournament but how you beat Roger in the Roland Garros 61 63 60 you were almost embarrassed at the end and not too excited as you won too easily. Did you feel the same today? R. Nadal: No. I think it is a different situation – then he played a great game 51 52 and was serving and then it was 53 and the second serve of the point of that game and I served 2 good balls with the 53 and then he gave me a backhand into the net and then love 15 and you are in a problem and so …. in the matches and the finals and a big opponent like Roger you have to close the match. Q: You look like you have a reply for every opponent. R. Nadal: Every day is a different day and when I go on court I know I can win or lose and it is one against one and all the players who play here have the potential to beat everybody so when I go on court I always am thinking that what is happening to me in the past 8 or 9 years in not for ever and nobody stays here for ever and nobody wins for ever and so I don't know when this will finish and so I try to take care in very moment to make sure that this happen as late as possible and I respect everyone and this is why I have a lot of success every year and to win a lot of matches on this surface …….. and also others because I respect everyone and some days I don’t play my best and I have to fight and run and be humble and this is why I won.